End of life is part of every patient’s journey. For some clients, the ideal environment in which to say goodbye is the home. I often find that the process of letting go of a patient alongside the pet owner is, ironically, what bonds the client for life. It is during these most emotional and vulnerable moments that we, as a veterinary team, have a responsibility and an opportunity to make a lasting impression conveying empathy, sympathy, compassion and support. While we can’t remove the pain of grief or loneliness for that pet owner, we can offer strategies designed to reduce fear, anxiety and stress in both the patient and the client as we help them through the journey. Not only does this approach truly honor the patient’s life and the human-animal bond, it builds trust and improves compliance with future furry family members. These are the clients who generate tremendous referrals, leave positive online reviews and improve our professional satisfaction. To elevate your hospital’s service and care, here are some details to consider when discussing hospice and euthanasia so that stress and anxiety are removed from both the patient and client. Can my dog or cat’s pain be managed by medication or oxygen therapy? Is my pet having difficulty breathing? Does my pet have a good appetite? Does my pet drink enough water? Is my pet clean and well-groomed? Does my pet greet me and enjoy petting or other interactions? Can my pet move around easily? Does my pet have more good days than bad? 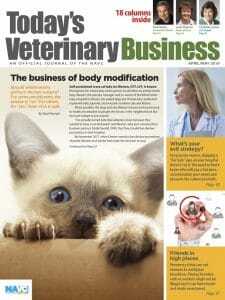 Clients should answer these questions and discuss the topic further with their veterinarian. From here, we should work together with pet owners to assess and provide wanted physical support. Clients might look for specific recommendations to help meet hospice goals. If a pet’s appetite is dwindling, recommend an approved appetite stimulant. Warming the food or hand-feeding are other strategies to discuss. Mixing in a smoother texture, such as baby food, should help if the patient has severe oral disease. Some patients are social eaters and prefer to be with their owner during meal times. If water consumption is a concern, consider offering a fountain of moving water or making beef bouillon ice cubes. Matted hair coats can be uncomfortable or even painful. Grooming, brushing or sanitary shaving can help reduce pressure and prevent infection. Clients should be taught to recognize signs of pain associated with abnormal body postures and changes in respiratory rate. Pain medication is imperative with all these patients. What’s just as important is supporting the pet’s emotional well-being. If the pet is acting depressed or anxious, consider the immediate environment and how it can be modified. If it’s noisy and busy, recommend a quieter area of the home and the addition of classical or instrumental music or a white noise machine. Try pheromone therapy — a collar or room plug-in — to produce a natural calming endorphin effect. If the pet’s behavior has changed to become less tolerant or more reactive, consider an anxiety-reducing pharmaceutical such as a benzodiazepine. Those strategies could help the patient sleep more comfortably. A calming body wrap or one that offers harness assistance can reduce exposure to static electricity and relax the patient. If the patient prefers to be on a bed or furniture but can’t navigate well, recommend that the client install a pet ramp or stairs. Bedding is incredibly important, especially for pets struggling to walk or move, or even those that are moribund. Please recommend soft but supportive bedding with or without a heating element, such as an orthopedic bed or one with an egg-crate topping. Many patients respond positively to low-stress handling and specific points of the body being touched or massaged. I encourage owners to spend time snuggling and, if the patient responds favorably, continue to massage and provide firm, continuous touch to low-stress areas such as the shoulders, hips, down the spine and caudal hind limbs. This also could be adapted by replacing touch with brushing if the pet prefers it. With cats, being wrapped periodically in a pheromone-impregnated towel that has been warmed might be the answer. End of life is part of every patient’s journey. For some clients, the ideal environment in which to say goodbye is the home. 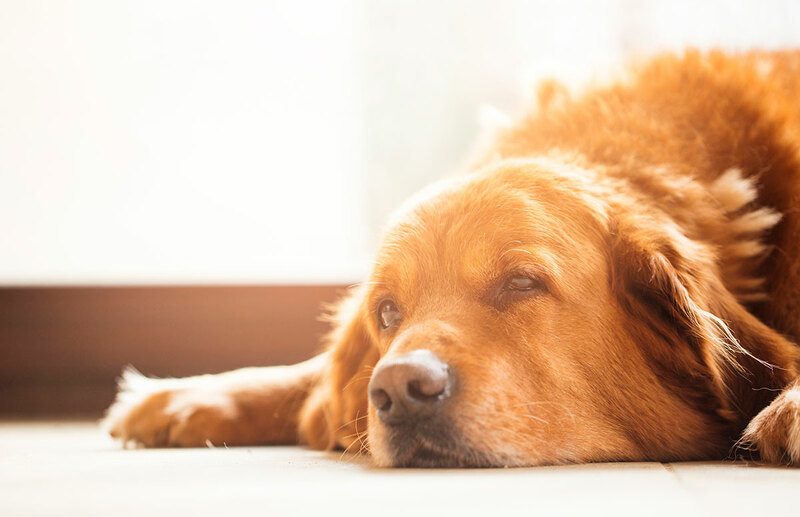 While in-home euthanasia is a wonderful service to offer and can cement the client bond, it might not always be possible for veterinarians and their teams. Instead, what is essential is creating a private space in the hospital to allow families to grieve and process the euthanasia in peace. The space should have soft lighting, a comfortable loveseat or armchairs for clients, and a warmed, supported bed for the patient. I like using a battery-operated candle and quiet classical music to create a soft atmosphere. Place a pheromone plug-in for both dogs and cats to support continuous relaxation. If the euthanasia was scheduled, I encourage the pet owner to administer an oral sedative or anti-anxiety medication the night before and the morning of the procedure to help the patient (and subsequently the client) have less stress. I also recommend the owners bring the pet’s favorite treats or toys. Finally, my clients greatly appreciate clay paw imprints as a way to retain a positive memory from their pet’s final day. While veterinarians are trained to provide patient care, we have to be cognizant of the fear, anxiety and stress of the client. Having an open conversation at the start of the hospice period will determine the client’s goals and expectations, and it’s important to be transparent about the roles of all the family members. While the twilight of a pet’s life can be an incredibly special time for a family committed and bonded to the process, it also can be emotionally draining, stressful and confusing. I suggest pointing out to clients that the best they can do for their pet is to put the pet’s welfare first. Encourage emotionally struggling clients to consult a grief counselor or therapist. Never shortchange your client’s emotional needs during this difficult time. No matter what kind of lifetime care you provided for the pet, the end-of-life experience is going to be the memory clients carry with them when they decide to bring another pet into their life. As I work with younger associates delving through their own challenges with the euthanasia process, I try to keep them focused on the incredible importance of the interaction. Interacting with dignity, recognizing and addressing anxiety and stress, and demonstrating compassion, kindness and sensitivity are crucial. Not only is this essential to lessening compassion fatigue, but it is a unique opportunity to strongly bond to a client through sharing one of the most emotional times in life. Paying attention to minor details and preparing the patient and client can create lifelong goodwill and incredible clients while at the same time help to recharge the heart of the hospital.